An exclusive neighborhood in the city’s northwestern corner, Lake Street is a long residential stretch in an optimal location. Outdoor living is the norm for residents in this sprawling neighborhood. Mountain Lake Park on its northern border boasts running trails, tennis courts, a dog run, and a lake popular for gathering around or jogging. Golfers and beach-goers will find the neighborhood a slice of heaven with the expansive Presidio just beyond its northern edge boasting a golf course, yacht club, and beaches. Stacked with single-family homes and condominiums, the homes in the Lake Street neighborhood cover the spectrum of styles. Heavy with Edwardian and Victorian properties, this affluent neighborhood is popular with families and treasured by many longtime residents. Neighboring districts like the Inner and Central Richmond quench the need for destination restaurants and trendy storefronts, some within walking distance of Lake Street homes. And with public transportation running through and along this district, residents can equally enjoy downtown city life and access freeways for commuting or out-of-town adventures. 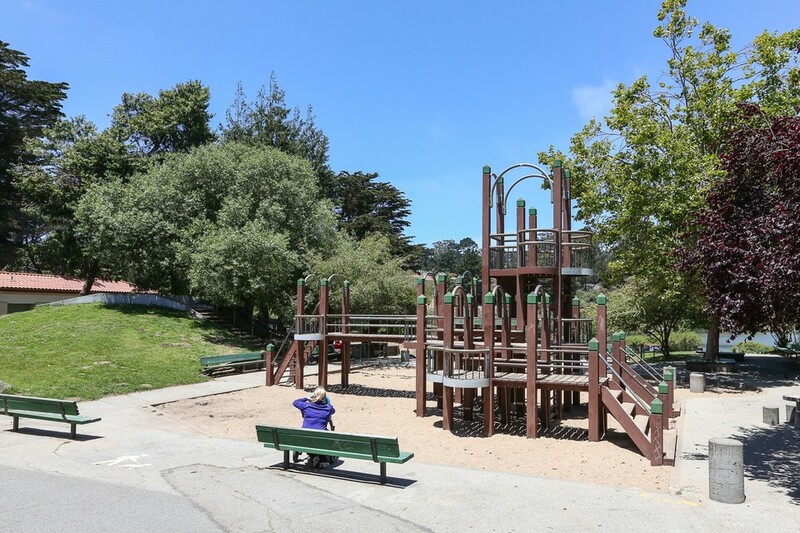 Lake Street is a quiet and upscale experience that provides easy access to outdoor recreation and the bustling downtown of San Francisco with the added bonus of retreating to suburban life at the end of the day.